Courtesy of Berkshire Hathaway Home Srvs, Beth Hale. This is an incredible Whittier listing with ample room for a large or extended family. Property features include a spacious floor plan with new interior paint, new flooring and tile throughout. The home also has new casings, crown moldings and a newly tiled fireplace that enhances a modern look and feel. The kitchen has also been remodeled with recessed lighting, new flooring and granite countertops. Recessed lighting has also been installed in the living room and dining room for a brighter, warmer look. This home features 4 total bedrooms which consists of 2 regular sized bedrooms and 2 full master bedrooms with jacuzzi tubs. Both masters have walk in closets and sliding glass doors leading to the outside. The exterior of the home has also been painted and the landscaping has been fully done, adding new sod, planters and an automatic sprinkler system. Other features includes a new concrete driveway leading to a 2 car detached garage. The garage also has a single car door that allows you to drive your cars or toys straight to the backyard.This home sits on a 8,271 sqft and ready for the new owner! 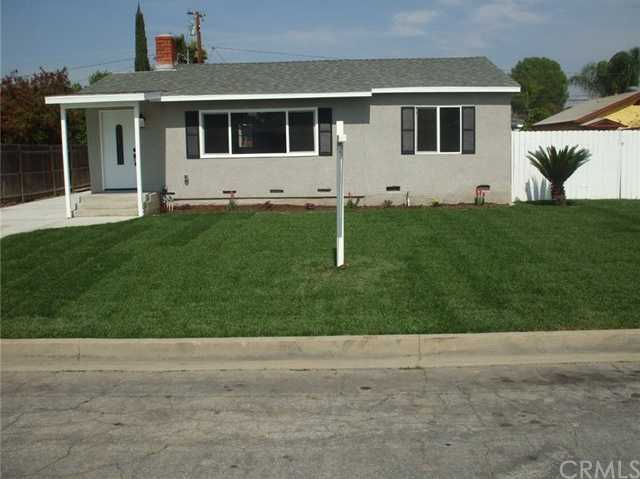 Please, send me more information on this property: MLS# DW19063389 – $594,000 – 14115 Anola Street, Whittier, CA 90604.